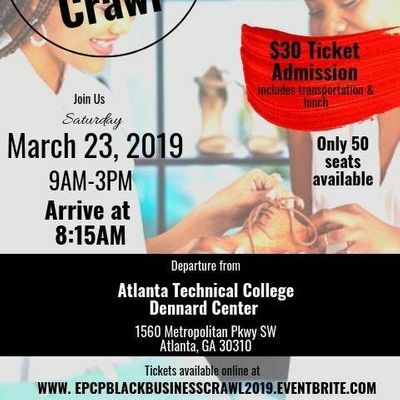 Welcome to EP/CP Black Business Crawl 2019! 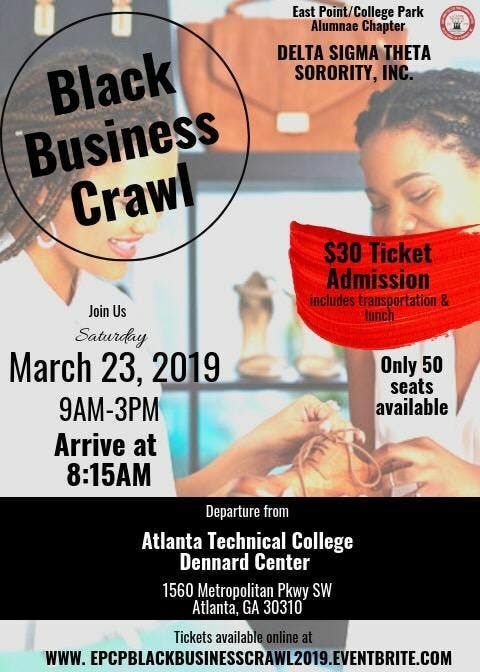 The Black Business Crawl aims to rebuild our community and support Black businesses by creating an opportunity for consumers to shop Black around Atlanta. Take this opportunity to find out where those black-owned shops and restaurants are located in the city. The crawl will end with a delicious meal catered by Chef Jason Dudley of Joshua’s Bakery and Catering. The meal will include two varieties of salads, vegetables, starches and meats. Dessert will also be served. Tickets are only $30, which will include access to the private shopping experience, transportation and catered lunch. Only 50 seats available! You do not want to miss out on this fun filled day! What is a crawl? Why a crawl?